We smelt the inside of the Earth long before we saw it. It stormed up our nostrils, scorched our sinuses like a giant helping of wasabi, and made us cough and splutter. We heard it next. It was a deep, ominous rumble like a 747 taking off in a cyclone. But none of that prepared us for seeing it. A few hundred metres below us was a seething pit of boiling lava like a medieval vision of hell. Every now and then the Earth belched loudly and launched an arc of red-hot gobs of molten rock skywards. Few things have made me feel quite as small or mortal as looking into the crater of Mt Marum on Vanuatu’s Ambrym Island. Vanuatu, an island archipelago 2000km north of New Zealand, is home to some of the world’s most accessible and reliably active volcanoes. Mt Yasur on Tanna Island, for example, has been erupting without interruption for the past 800 years and is an hour’s walk from the nearest guest house. But I had my sights set on Ambrym Island. 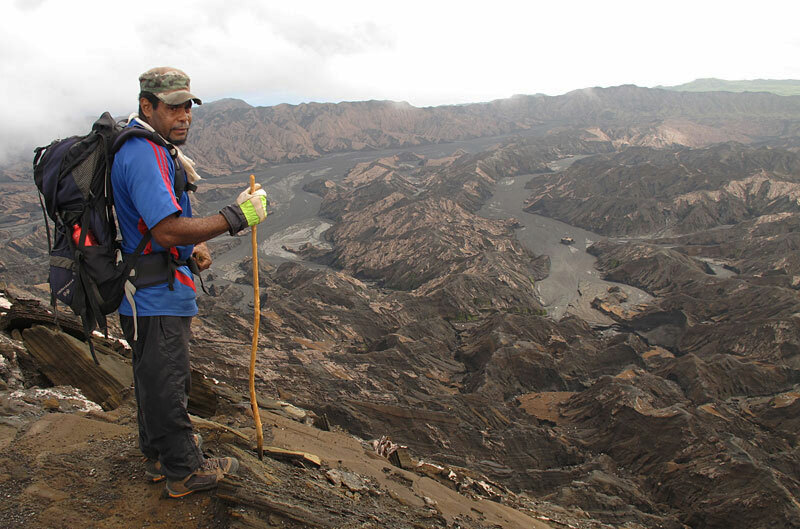 It’s harder to get to than Tanna and less spectacular in a lava-spewing kind of way, but the walk over its twin volcanoes has to be one of the best overnight hikes in the Pacific. Landing at tiny Craig Cove airport on Ambrym Island. Most of the island, apart from a desert-like central caldera, is clad in thick bush. 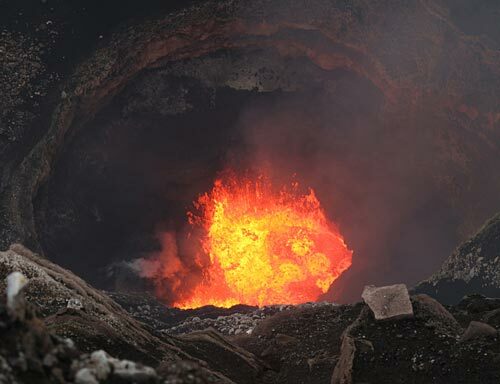 At its centre are two volcanoes, Marum and Benbow, each with a lake of boiling lava. I landed on Ambrym with a good idea of what I wanted to do but nothing booked. Luckily, organising a hike turned out to be remarkably easy. Sam, the baggage handler at tiny Craig Cove airport, also runs the nearest guest house and arranges guides. 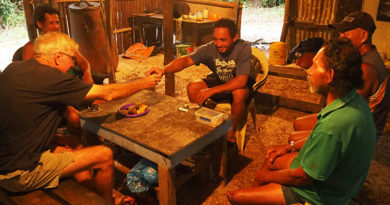 So the next morning I found myself in what passes for public transport in Vanuatu – a ute with two planks in the tray for seats – bouncing along a dirt track with guide John Tasso. John was gentle, affable and unfailingly positive. He was, in other words, a typical Ni-Van (person from Vanuatu). He also spoke English with a charming accent, thanks to a French education in a country once jointly ruled by France and the UK. 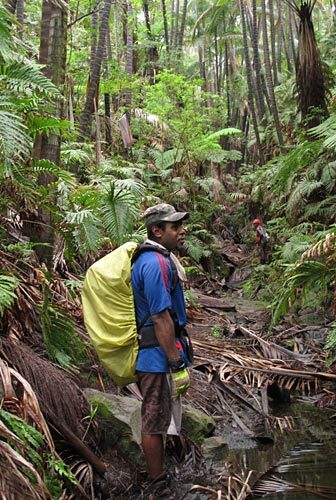 Guide John Tasso in Ambrym’s rainforest. 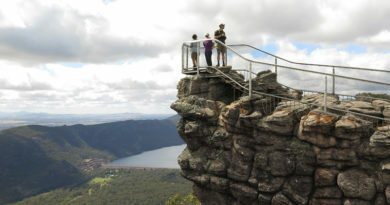 We were joined by two other hikers – a park ranger from Auckland and a professor from Toowoomba – and an assistant guide named Jabet who carried little more than a machete and a dazzling smile. Our driver left us where the river bed that served as a road ended at the base of a waterfall. From there it was up to us. For the first few hours we followed a steadily narrowing stream through rainforest that could have passed for New Zealand bush, apart from the orchids and snakes snoozing on the rocks. The vegetation ended abruptly at a dune of black sand. We scrambled to the top and emerged in another world, a barren plateau of ash and scoria that covers much of the centre of the island. We set up camp at edge of the ash plain – the guides in an improvised shelter, the professor in a borrowed tent, the ranger in a hammock, and me under a fly – then set off for the top of Mt Marum. The hike started as a trudge across the ash plain and up a dry river bed, then zig-zagged up a series of narrow ridges with a vertigo-inducing drop on either side. At least the mist meant we couldn’t see how far we’d fall if we missed our footing. Earlier in the day we’d been puzzled, and a little perturbed, when John issued us with gas masks. The reason soon became clear. The cloud of sulphur dioxide that engulfed us wasn’t like the rotten-egg gas familiar to anyone who’s visited Rotorua. This was a gas that stung our eyes, made us gag and cough, and stormed up our sinuses like we’d miscalculated horribly with the wasabi. Breathing through a gas mask adds an extra level of challenge to walking up a mountain, especially if, like me, your only regular exercise is traversing the office to the coffee jug. As the track sidled up to the crater rim the volcano’s roar gradually increased in volume. At first it was like waves crashing against the shore. Then it was a jet taking off, and finally a jet in a cyclone. Suddenly we were at the crater’s edge with a churning lake of molten rock hundreds of metres below. It felt like we were staring into the bowels of the Earth. Every now and then the lake belched loudly above the roar and flung an arc of red-hot lava into the air. It was hard to judge the crater’s size but John reckoned it was 600m across and 400m deep. Ever mindful of our safety, he scratched a line into the ash about 30cm from the crater’s edge and told us not to cross. Otherwise there was nothing to stop us tumbling hundreds of metres into a lake of boiling lava. I’m not sure what OSH would make of it. The crater was so mesmerising it was dusk before we could pull ourselves away. We retraced our steps down the mountain but when we reached the ash plain it was dark. By then the mist had thickened and even with a torch I couldn’t see more than a few paces ahead. Lava seethes at the bottom of Mt Marum’s crater. 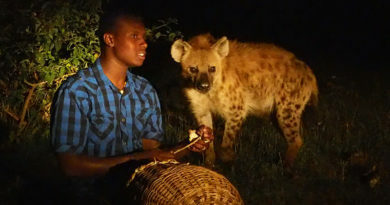 I would have blundered in circles all night yet somehow John and Jabet led us straight to our camp, where we feasted on tinned fish, crackers and smoky tea. After a chilly night we set off the next morning up a series of ridges, some no wider than our boots, to the top of Mt Benbow, Marum’s 1200m-high twin. This time we could hear but not see the lava boiling hundreds of metres below. What caught our attention instead was the strange material littered around the crater rim. Some of it looked like fine, glassy threads but most was matted into dense brown tufts like clumps of dog fur. Called Pele’s hair, after the Hawaiian fire goddess, it forms when volcanic glass ejected from the crater is spun into long strands by the wind. Our descent followed a series of narrow gullies and ridges offering some of the most extraordinary views I’ve seen. 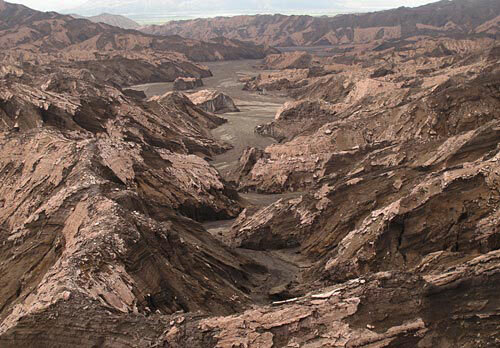 As far as we could see the barren landscape had been carved into a maze of canyons in every shade of brown, grey and pink. The dry river beds below Mt Benbow formed such a labyrinth that even John took a wrong turn, forcing us to backtrack for an hour. Eventually we found the way out through a creek bed hemmed in by dunes and wild cane. A fallen tree had blocked our driver’s route so it was a long walk in blazing heat to the pick-up point, a stark contrast to the misty coolness of the ash plain. Only a bar offering cold beer would have been a more welcome sight than our ute when it finally came bumping towards us. The drive back to Craig Cove, on the roughest roads imaginable, was an adventure worth paying for in itself. It’s risky describing a trip as the best, biggest or most beautiful. But with its extraordinary landscapes, boiling lava and laid-back Ni-Van guides, I’d vote the walk over Ambrym’s volcanoes the best overnight hike in the Pacific. In 2016, when I visited, Air Vanuatu flew between Port Vila, the capital, and Craig Cove at the western end of Ambrym three times a week. 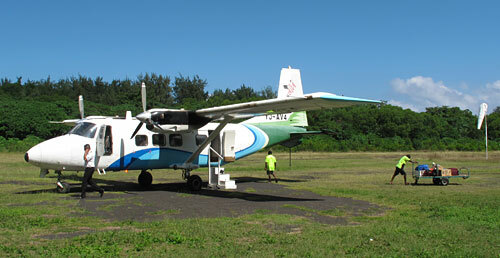 Two flights stopped at Ulei at the eastern end of the island. Communication is limited on Ambrym but organising a walk on arrival is fairly straightforward. Ask at Craig Cove airport or your guest house, and keep an extra day or two up your sleeve to allow for delays. If you want to book ahead, a number of firms advertise online with walks lasting one to four days. 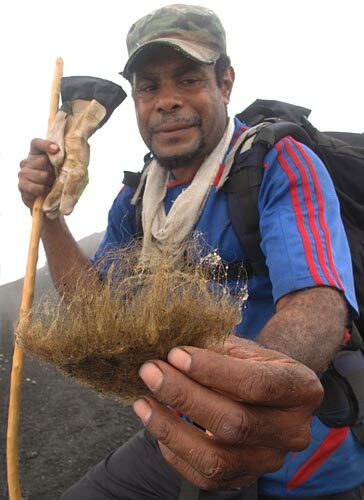 Guide John Tasso with a clump of “Pele’s hair”. Hiring a guide is essential. There are no marked trails and the maze of canyons at the centre of the island would confuse even the most experienced hiker. 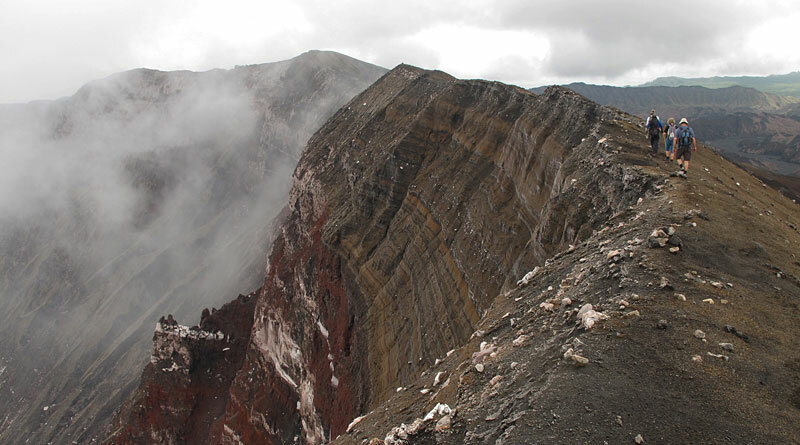 There are many routes over Ambrym’s volcanoes, some of which are subject to seasonal tabu (taboo, or tapu in Maori). Try to organise a hike which goes up one way and down another. My route started near Port Vato and descended via the village of Emiotungun. Transport between Craig Cove and the start and end points is in the back of a ute. If you’re lucky your hike will end at one of the natural hot springs which dot the island. 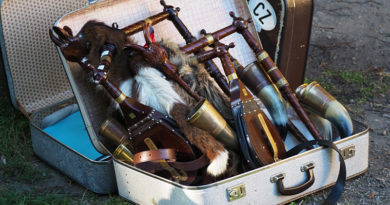 If you want to start and finish on opposite ends of the island, requiring an exchange of guides at the halfway point, you may need to arrange the trip beforehand or allow more organising time. There is no road around the island; the only way of crossing Ambrym is on foot or by air. 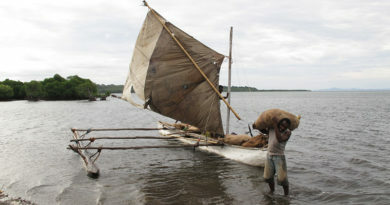 Chartering a boat is possible but costs a small fortune. Generally you have to bring your own tent and food for the overnight trek. The terrain is rough so good boots are a must. Bring warm clothing for the night on the ash plain, which can be suprisingly chilly. 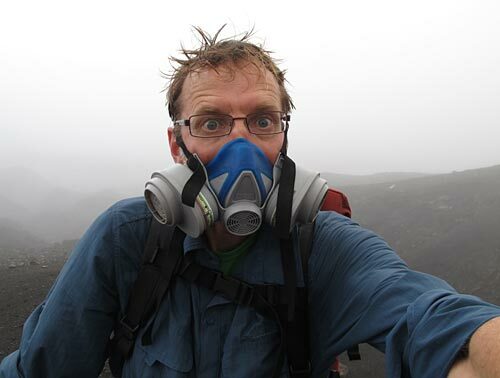 Your guide may provide a gas mask for the walk to the top of Mt Marum. You should bring anything you can’t live without to Ambrym. The island’s commercial hub, Craig Cove, has two tiny shops with an even tinier range of goods. There are no ATMs on the island so bring all the cash you need.